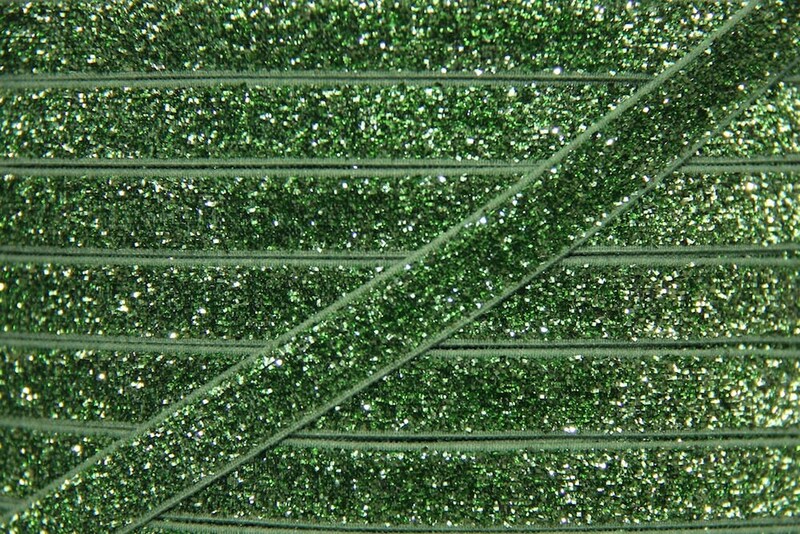 This listing is for 5 yards of soft and stretchy 3/8 inch glitter elastic in Apple Green (Lime Green). The elastic has shiny glitter on one side and is matte on the other. Perfect for DIY headbands, hair ties and other accessories.